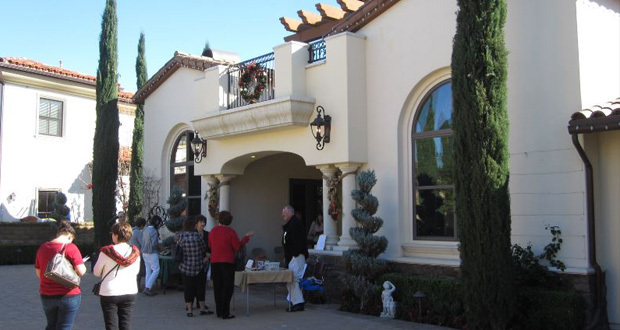 [KHTS] – The Henry Mayo Newhall Hospital Foundation hosted its 34th annual holiday home tour Saturday at three elaborately decorated Santa Clarita Valley homes. 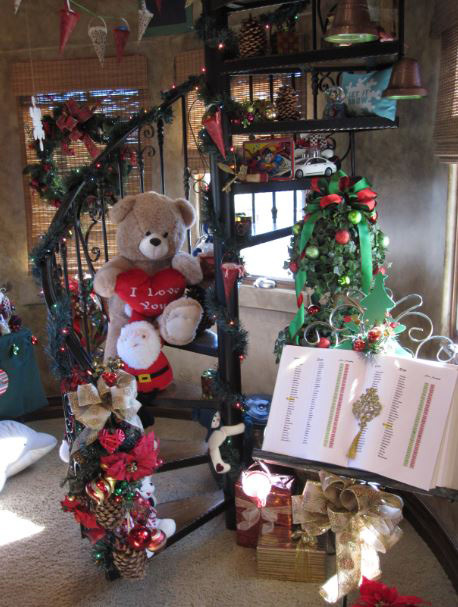 Following the theme “Holiday Memories,” visitors had the opportunity to enjoy festive holiday decor throughout the homes, including a Santa’s workshop, snowball collection, “A Nightmare Before Christmas” themed bedroom, and “Nutcracker” themed room. The featured homes are all more than 3,500 square feet to accommodate the crowds, and this year’s homes were located in Stevenson Ranch and Westridge. Following the theme “Memories of Traditions Past,” the home of Mike and Brenda Neilson was designed and decorated by Myra Harbour of Celebrate using Harbour’s “expertise” in floral design. Proceeds from ticket sales typically benefit women’s services at Henry Mayo Newhall Hospital, and this year’s funds are set to go toward the building of a new patient tower where a new Women’s Unit will be located.